Google has just released a new product, Google Art Project: http://www.googleartproject.com/. Bowing to popular taste, they seem to have concentrated on Western paintings, especially the Impressionists. Here is a screenshot of a room in the Metropolitan Museum of Art. You can wander through most of its adjoining rooms, except for the one with Picassos (probably due to copyright concerns.) Like Street View, the zooms pixelate quickly, so it is hard to read wall text. 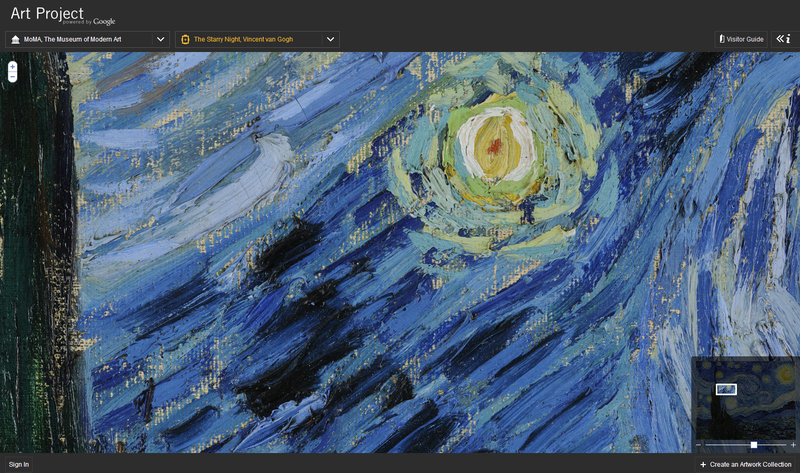 To make the virtual visit more exciting, about 1000+ artworks have been photographed at a high resolution. Again, the selected works are mostly paintings from the greatest hits canon. The details available in these views are incredible — here is an extreme close-up of Van Gogh’s brushwork in Starry Night. Alas, there is no way to download these wonderful images. 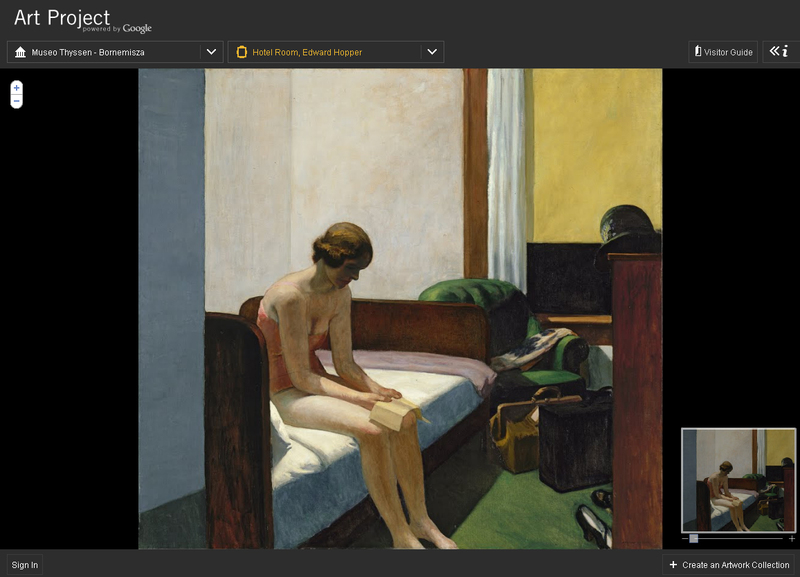 If you have a Google account, you can create and share slideshows, called Artwork Collections. I hope that some West Coast museums will participate and that a greater variety of galleries and objects will become available. I want to see the threads of tapestries, the pockmarks in a marble sculpture.